Commonsense & Wonder: Socialism raises prices. Capitalism lowers prices. France chooses the first. Socialism raises prices. Capitalism lowers prices. France chooses the first. 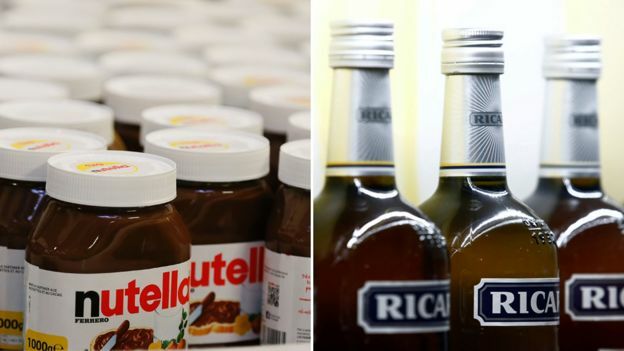 Nutella, Président Camembert, Ricard Pastis and Carte Noire coffee are among the brands set to cost more in France as a law on food prices takes effect. It means big food and drink brands can no longer be sold at cost price. Shops' profit margin must be at least 10%. But many shops' own-brand products are expected to get a bit cheaper. Such goods often come from smaller firms. The government aims to help smaller producers but France has continuing yellow-vest protests over prices. There are doubts about whether the new law will actually work as hoped. How much of a price rise? The 10% margin threshold means a food or drink brand previously sold for €1 (£0.88; $1.1) now has to be priced at €1.1 minimum. But there will not be uniform price increases, French media report. The law affects supermarkets and hypermarkets more than small local shops. That is because the big outlets offer some popular brands at or near cost price, slashing their margins on those products, in order to lure customers, in a fierce price war. Their profits depend on big volume and high turnover. Small shops, however, cannot match the supermarkets' low margins. Supermarket chain Carrefour is adapting to the law by increasing discounts for loyalty card customers. 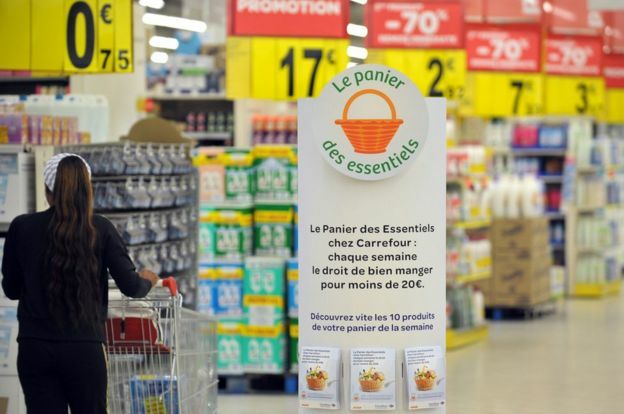 Carrefour expects to raise prices by 35 euro cents on average, which is 5%. It says 1,000 food and drink brands are affected, out of 25,000 on sale. Hypermarket chain E Leclerc said it was raising prices by 3% on 1,000 brands. Agriculture Minister Didier Guillaume said "the aim is to sell agricultural goods for what they're worth". He stressed that meat and fish prices would be unaffected. He said that in supermarkets, in general, prices would go up on 500 out of 13,000 products, and in hypermarkets on 800 out of 20,000 on sale. The government hopes that by making shops pay more to their suppliers - the wholesalers - the latter will pay more to French food and drink producers. That is because the wholesalers' income should increase as consumers pay higher prices for certain brands. But millions of French consumers are angry about the cost of living, so there is a risk for the government. It is already struggling to contain often violent "gilets jaunes" (yellow vest) protests. The protests were sparked by a fuel price hike last year - later cancelled by President Emmanuel Macron - but soon the "gilets jaunes" movement morphed into a wider protest against economic hardship. For months there have been big weekend protests by the yellow vests across France. Another one is planned for Saturday. Image captionWill French consumers make a sacrifice for French producers? Mr Macron has tried to reach out to the protesters. He told journalists on Thursday: "If to be a yellow vest means you want work to pay more and parliament to work better - well then I'm a yellow vest." Which consumers are most affected? The French consumer rights group UFC Que Choisir voiced scepticism about the new law. One of its researchers, Mathieu Escot, said smaller shops like the Monoprix chain in Paris would not put up prices, because their margins were already above 10%. But he noted that "gilets jaunes" protesters were frequent shoppers at the big supermarkets and out-of-town stores, where prices would go up. "So it's French people on more modest incomes, with weak purchasing power, who will pay," he argued. 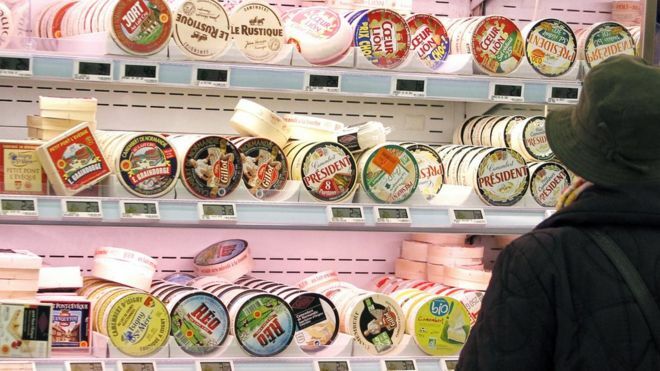 The law "does not oblige" food and drink wholesalers to pay more to French rural producers, he said. A big agricultural union, Confédération paysanne, told the daily Libération "there is no clear incentive to ensure a return to producers and boost their income".